A lovebird is one of nine species of the genus Agapornis . 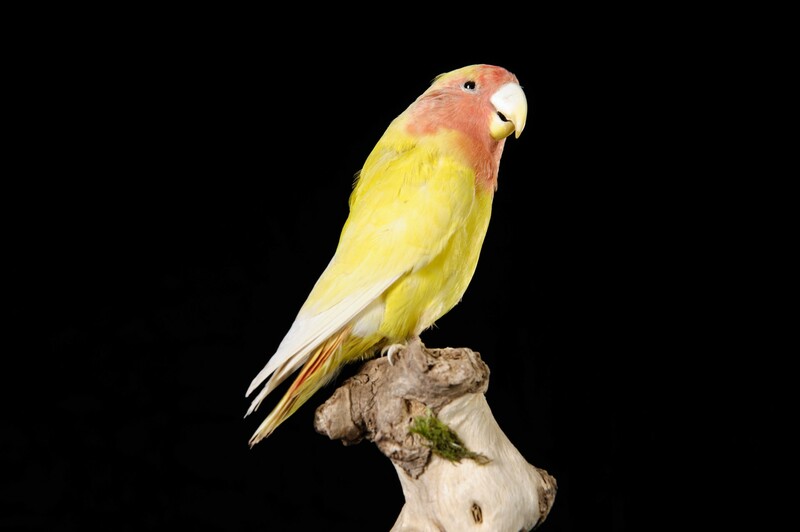 Eight species are native to the African continent and the grey-headed lovebird is native to Madagascar. Lovebirds live in small flocks and eat fruit, vegetables, grasses and seed. 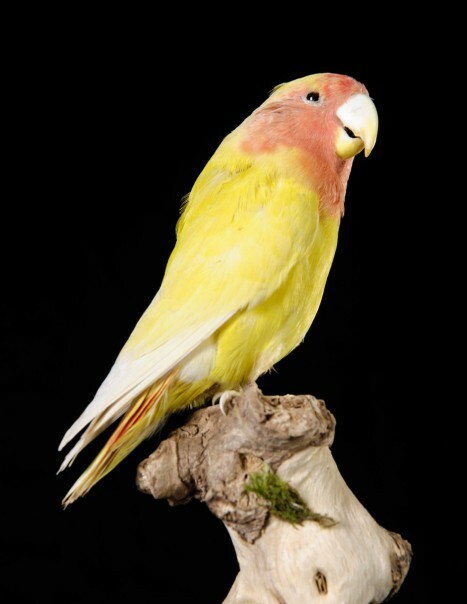 Some species are kept as pets and several color mutations were selectively bred in aviculture.